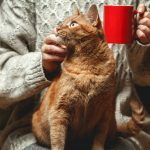 Home » Videos » Cone of Shame » How Do I Get Rid Of My Cat’s Hairballs? Does your cat suffer from hairball issues? In this episode of Ask Dr. Andy, Dr. Andy Roark shares tips to prevent and control hairballs.